Newport Beach, November 2015 – SOL Cocina Executive Chef Deborah Schneider introduces a new menu of fall favorites to her widely celebrated menu of Baja-inspired cuisine. 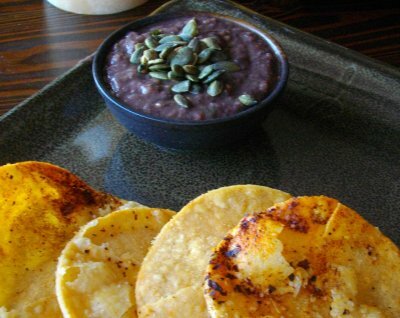 The new menu features fall's freshest ingredients highlighted by Chef Deb’s own house-made Blue Corn Masa, which is presented in her new Blue Corn Gordita, a popular street food in Mexico that features a thick tortilla, patted out by hand. Blue Corn is an ancient strain of corn commonly used in the area around Mexico City. 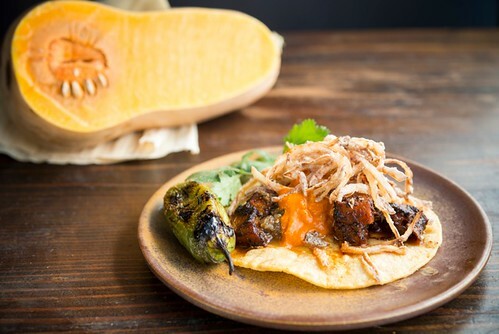 The new Shortrib Taco on Blue Corn Gordita, as a whole, is a fairly simple dish that is quintessentially Mexican, from the Blue Corn Masa, all the way to the Red Chile Salsa, a street taco classic that is served with call kinds of meat. 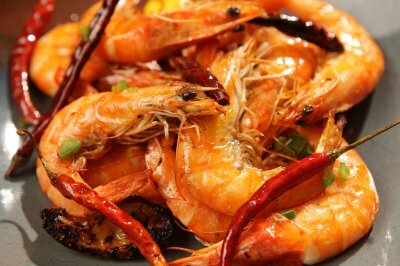 Other noteworthy dishes put the spotlight on Mexican Shrimp Season with grilled Agave-Chile Shrimp featured in a taco and a torta. This delicious homemade soup with meatballs (fresh beef and chopped bacon) and lots of fresh vegetables (diced sweet potato, shredded cabbage and kale), is classic Mexican home cooking. A mild Anaheim Chile charred, peeled and stuffed with menonito cheese, then wrapped in bacon, roasted and served on ranchera sauce with cotixa cheese. Back by popular demand, the Viper Taco features the Indian Bhut Jolokia (ghost chiles), one of the world’s hottest chiles, as well as habaneros and chipotles. This Viper Salsa tops grilled chicken, which is served atop melted cheese and avocado on a corn tortilla ‘dorado’ (cooked until half crisp). 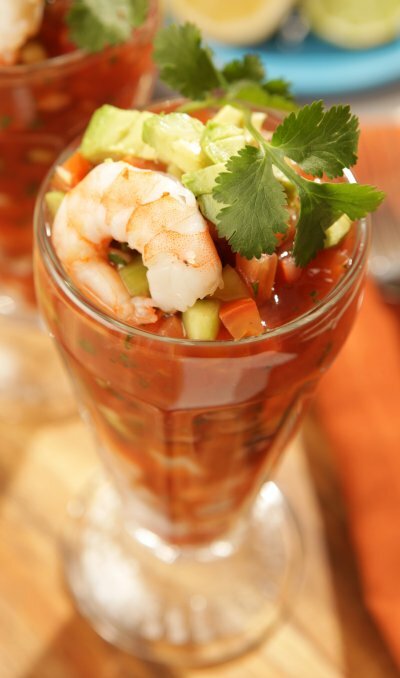 An agave-chile marinade enhances the natural sweetness of the shrimp, which are set on guacamole and topped with a medium-spicy, creamy green salsa, lettuce and pico de gallo. A great, simple taco. SHORTRIB TACO ON BLUE CORN ‘GORDITA’ A hand-made Blue Corn ‘Gordita’ topped with delicious slow-cooked boneless beef shortribs, red chile puya salsa, avocado, cotixa cheese and onions. This taco features chunks of peeled butternut squash roasted with cumin and smoked chiles, then served on a corn tortilla with melted cheese, spicy roasted green chile salsa, crispy fried onions & roasted red pepper salsa. The flavor profile is a little smoky, rich, and a little spicy. A really good, simple shrimp torta with agave-chile shrimp topped with garlic-herb salsa, lettuce and pico, on toasted bread. 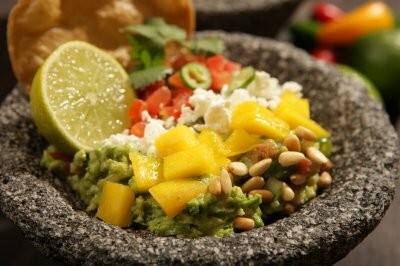 A touch of spiciness is balanced by cool guacamole and fresh salsas. Boneless, premium beef shortribs are rubbed with spices and chiles, seared and slow-cooked with stock and garlic until falling-apart tender. 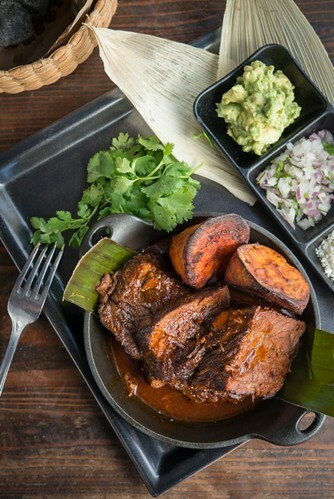 The shortribs are served in their juices in an iron cazuela with guacamole, onions, cotixa cheese and tortillas, and a side of deep-fried sweet potato. 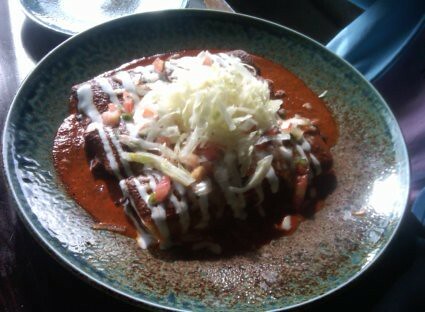 The fall version of our popular enchiladas consists of three types of cheese (jack, menonito and goat cheeses) in corn tortillas, baked under Salsa Verde, then topped with queso fresco, cotixa and Mexican crema. Like a harvest cornucopia, this vegetarian entrée is a celebration of all that’s wonderful about fall! 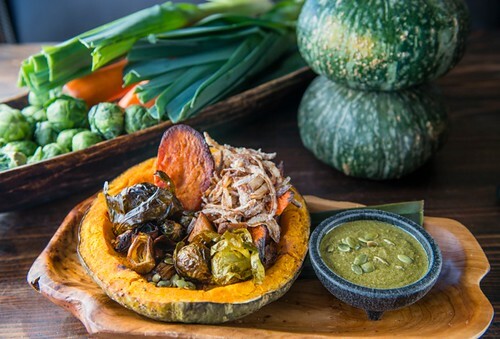 A half squash is rubbed with spices and roasted, then filled with a combination of roasted root vegetables (leeks, brussel sprouts, purple potato, carrots and sweet potato) and topped with house-made green mole pipian, a little queso fresco and toasted pepitas. A premium 12-ounce Angus ribeye steak rubbed with garlic and a touch of chipotles in adobo and then grilled. This steak has a nice smoky taste and a bare hint of spice. 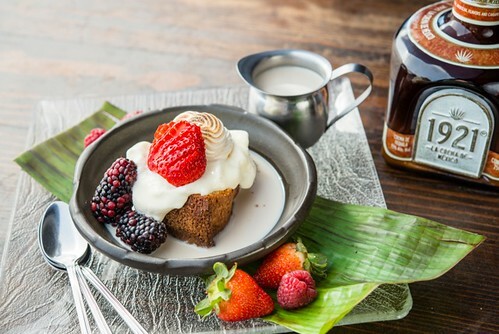 PASTEL TRES LECHES ‘1921’ Soon-to-open SOL Playa Vista Head Chef Tia Baker created this delectable version of an old-fashioned Mexican dessert. House-made white cake is soaked until softened with a rich, creamy sauce of cream, evaporated milk, milk and 1921 tequila liqueur, and then spiced with cinnamon and vanilla. It is absolutely delicious, like drinking a boozy, rich horchata… with whipped cream. SOL’s menu changes seasonally to reflect the freshest ingredients available. Chef Deb's menu features dishes made entirely from scratch, daily and is reflective of her philosophy that sustainable ingredients present the tastiest offerings. The new lunch and dinner menus at SOL feature her unique interpretation of Coastal Mexican classics. In addition, SOL’s commitment to sustainability is unwavering. The menu features meat and seafood that is humanely raised and caught. 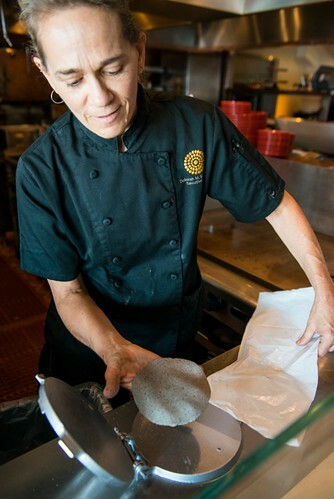 Chef Deb actively seeks to feature organic and locally sourced ingredients whenever possible. SOL’s menu of Coastal Mexican classics also offers many vegan-friendly and gluten-free options. 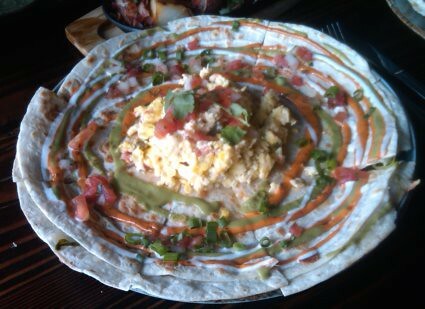 Full menus can be found online at http://www.solcocina.com. Newport Beach, October 2014 – SOL Cocina Executive Chef Deborah Schneider introduces a new menu of winter favorites to her widely celebrated menu of Baja-inspired cuisine. The new menu features the season's freshest ingredients artfully presented in dishes such as 'Firing Squad' Mezcal Shrimp, a unique interpretation of sautéed shrimp with mezcal, chipotle, pineapple, and fresh tomato fired up in an iron cazuela and served with butter lettuce leaf wraps. Sweet Corn and Baja Stone Crab Soup, ‘Charro’ Bone-In Ribeye Steak, and Puerto Nuevo Lobster Tacos are also among the flavorful new offerings presented on SOL's new menu. “Our new menu at SOL shifts towards Mexican comfort foods,” says Chef Deb, who oversees the kitchens at both SOL Cocina and sister concept, solita Tacos & Margaritas in Huntington Beach. “The wine harvest is in, farms are overflowing with wonderful fall produce and fruits, and the Mexican shrimp season kicks off. It’s a great time of year to be in Baja!" This seasonal guacamole references a famous traditional Mexican dish for fall called chiles en nogada. 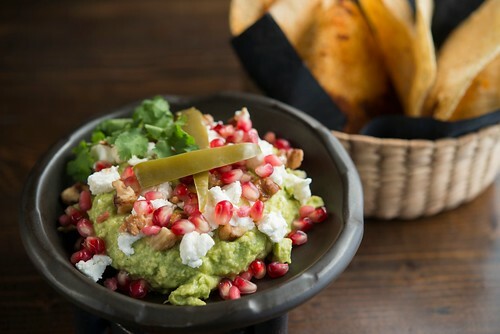 It begins with our basic guacamole (avocado, lime juice, salt) and is topped with pomegranate seeds, candied toasted walnuts, mild, creamy goat cheese and red onions, with strips of our house-made, tequila-pickled jalapeno on top. 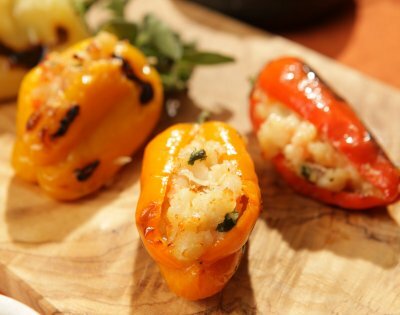 Stuffed small peppers are a classic Mexican antojito. Colorful and sweet, our Toritos are packed full of shrimp and cheese. They're roasted and then topped with a mango salsa which has both sweetness and pronounced heat from habaneros. This is a perfect sharable starter or bar nibble. Fired up in an iron cazuela, this dish begins with quickly sautéed shrimp, chipotle, pineapple, fresh tomato, mezcal and lime. This antojito is fun to share, with hot, spicy sautéed shrimp served with butter lettuce leaves for wrapping. Named ‘firing squad’ for it's quick heat, this dish is both potent and flavorful. 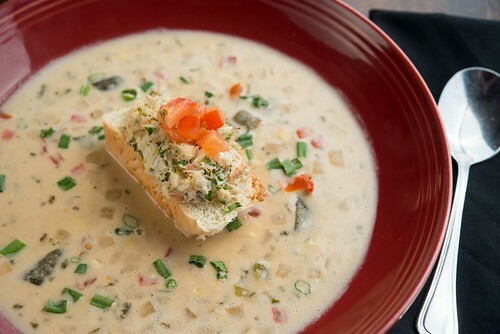 This creamy Baja-style corn chowder is garnished with with a generous lump of buttered crab meat from Baja California. This dish is inspired by the Valle de Gauadule in Baja, where small farms and vineyards fill the valleys all the way to the Pacific. The soup is based on lobster/shrimp stock, simmered with fresh corn, roasted poblanos and vegetables sautéed in butter and wine, then finished with heavy cream. 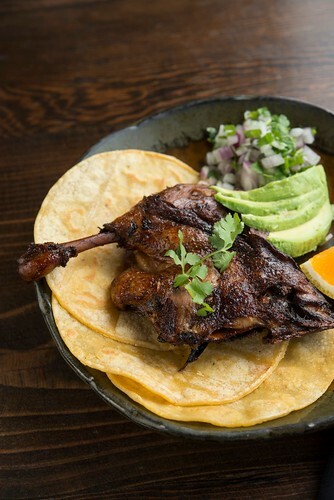 Our deep-fried duck leg confit served with a tequila-laced blackberry serrano salsa envinada, avocado, cilantro & onion, and corn tortillas to build your own tacos. Fruit sauces pair wonderfully with duck. 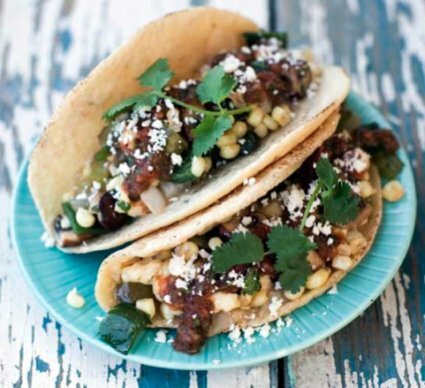 This spicy fruit salsa is slow-cooked with red wine and a dash of tequila. 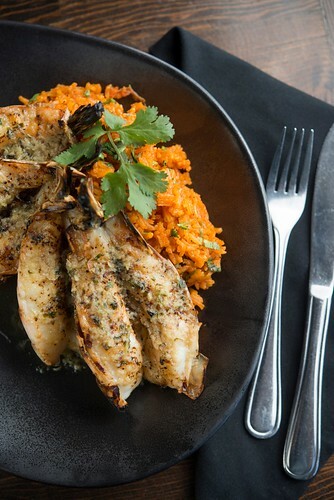 These huge sweet prawns are butterflied in the shell, skewered and quickly grilled. They're then served atop rice and a rich, traditional mojo de ajo butter sauce with white wine and lemon. LONGANIZA WITH TORTA DE ELOTEOur locally made grilled longaniza sausages are served with a creamy corn bread pudding, grilled jalapeno toreado and slow-roasted tomatoes and garlic. FREE RANGE HALF CHICKEN with CHILE CON LIMONOur naturally and humanely raised chicken is now served with a delicious Torta de Elote (corn bread pudding) as well as our Avocado Arugula Salad. Back by popular demand, these tacos feature succulent lobster meat sautéed with garlic and butter (mojo de ajo style) and are topped with three signature salsas: mango habanero, raw tomatillo, pico de gallo and ripe avocado. Top-quality Angus beef ribeye steak is grilled on the bone and then finished with an herbed garlic butter. TORTA BUFALADAOur popular bufalada taco is now available as a torta. This lunch-only item features chicken, carne asada, carnitas, guacamole, cheese, and pickled jalapenos. 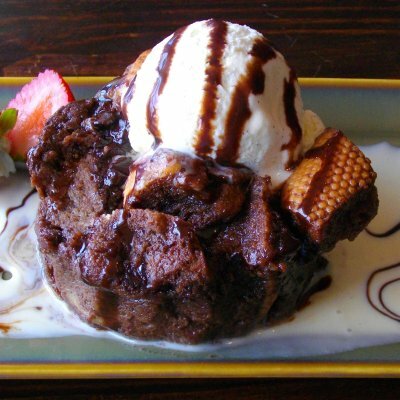 SOL’S FLANOur creamy flan is flavored with vanilla & a touch of Ibarra chocolate, served in a deep dish with caramel sauce on the bottom and Mexican chocolate-pistachio crisps. 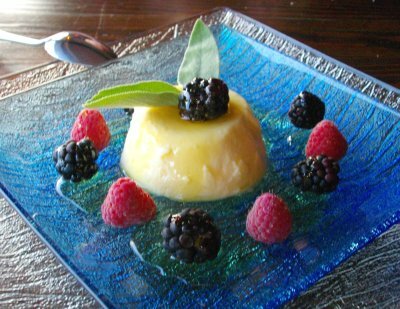 This delicate flan is ultra-creamy and delicious, with just a hint of Mexican spices in each bite and a pool of golden caramel swirled at the bottom of the dish. SOL’s menu changes seasonally to reflect the freshest ingredients available. Chef Deb's menu features dishes made entirely from scratch, daily and is reflective of her philosophy that sustainable ingredients present the tastiest offerings. 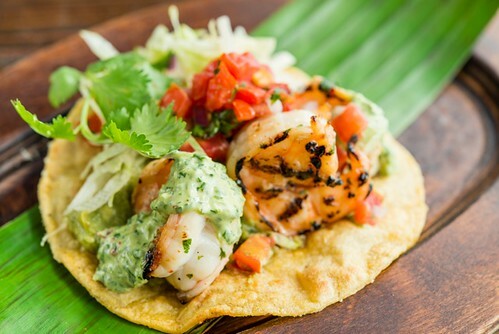 The new lunch and dinner menus at SOL feature her unique interpretation of Coastal Mexican classics such as her Grilled Giant Shrimp, Sweet Corn and Crab Soup, and seasonally inspired guacamole offerings. The new menu also boasts an array of Baja favorites including 'Canarditas' Duck Tacos served with a tequila-laced blackberry serrano salsa envinada, avocado, cilantro and onion. Guests looking to indulge in dessert offerings will enjoy the new deep dish SOL Flan, which boasts warm vanilla and a touch of Ibarra chocolate with a swirling pool of creamy caramel at its center. SOL’s commitment to sustainability is unwavering. The menu features meat and seafood that is humanely raised and caught. Chef Deb actively seeks to feature organic and locally sourced ingredients whenever possible. 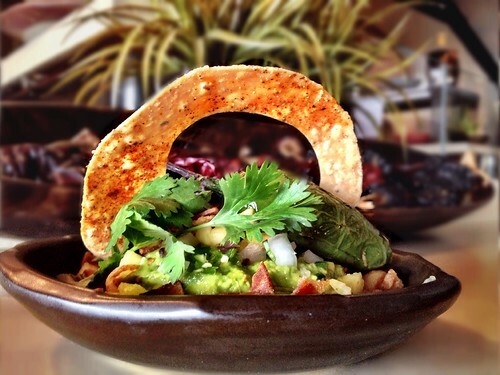 SOL’s menu of Coastal Mexican classics also offers many vegan-friendly and gluten-free options. 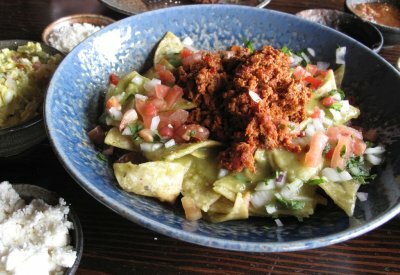 Full menus can be found online at http://www.solcocina.com/newport-beach/menu/. 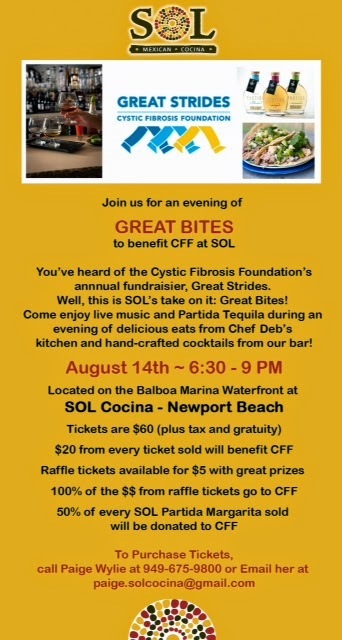 On Thursday, August 14th, 2014, Sol Cocina will be hosting a charity event set to benefit the Great Strides Cystic Fibrosis Foundation (CFF). The 'Great Bites' event, taking place from 6:30-9:00pm, will be an evening filled with live music, Partida Tequila and hand-crafted cocktails along with delicious bites from Chef Deb's kitchen. Tickets are available for $60 (plus tax & gratuity), with $20 from each ticket sold being donated to CFF. Raffle tickets are available for $5 (awesome prizes! ), 100% of raffle sales will go to CFF. 50% of every SOL Partida Margarita purchased throughout the evening directly benefits CFF. Newport Beach, October 2013 – SOL Cocina Executive Chef Deborah Schneider has introduced new fall/winter items to SOL's celebrated menu of authentic Coastal Mexican cuisine with a fresh modern interpretation. With additions to her lunch, dinner, and dessert menus, we see the season’s freshest, most flavorful ingredients in new dishes such as guacamoles with pineapple, Serrano chiles, bacon and grilled jalapeno toreado. 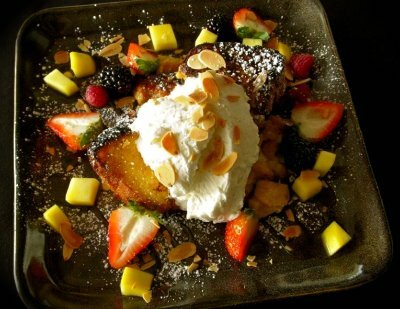 Chef Deb utilizes warmer tropical fruits this time of year to complement the flavors in her dishes and serve as a reminder of Newport summers. This new menu introduces exciting dishes such as Beet & Watermelon Salad with Salted Pepita Brittle, Chorizo & Rajas Taco, Garlic-Chile Lamb Chops with Chimichurri Sauce and Roasted Sweet Potato, and “La Guera” - a blonde brownie made with white chocolate and native nuez (pecans,) served warm with ice cream and cajeta envinada (dulce de leche with reposado tequila and vanilla) and more white chocolate, nuts and berries. 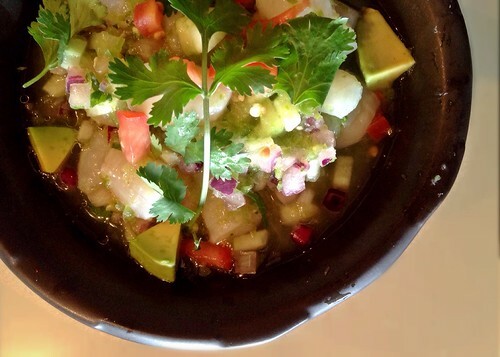 Aguachiles is a version of ceviche that always includes red onion, cucumbers and a spicy sauce, as well as the usual fresh-squeezed lime juice. For our ‘Aguachiles Verde,’ we use fresh Mexican bay scallops that are untreated, sweet and tender – and served raw. They are first tossed with sea salt, fresh-squeezed lime and lemon juice, and diced cucumbers and onions. Then, mixed with a bright green, spicy sauce of pure jalapenos and tomatillos. Chef Deb finishes with diced avocado and cilantro leaves on top and a drizzle of extra-virgin olive oil to balance the tartness. The flavor profile is tart and hot, which sets off the sweetness of the scallops. 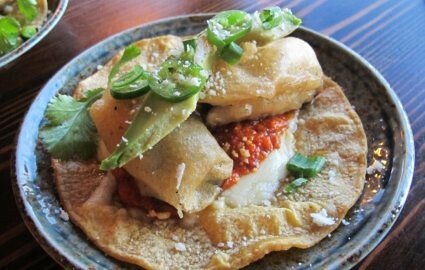 This begins with two crisped corn tortillas, filled with Laura Chenel goat cheese, three kinds of exotic mushrooms sautéed with garlic, epazote & red chiles, and sliced green onions. Chef Deb serves avocado sauce and habanero salsa on the side. This is a great fall salad of roasted red beets and cubes of fresh, sweet watermelon. It is tossed with peppery arugula, creamy queso fresco and red onion, then drizzled with a dressing of shallots, basil, fresh citrus juice and extra-virgin olive oil. Chef Deb finishes this with her unique sweet/salty pepita brittle sprinkled on top. This new taco is served open-faced and begins with a corn tortilla buttered and cooked crisp on the plancha. 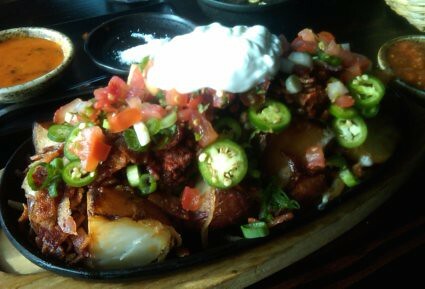 It’s topped with melted queso fresco, spicy chorizo and strips of roasted poblano chiles. 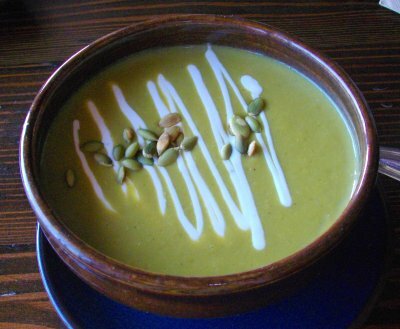 It is topped with raw tomatillo salsa, diced onions & cilantro, and cotixa cheese. Half duck (leg and boneless breast) slow-roasted with sea salt, white pepper and sweet agave alongside chunks of orange sweet potato and ‘drunken’ pineapple that roasts with a dash of tequila. 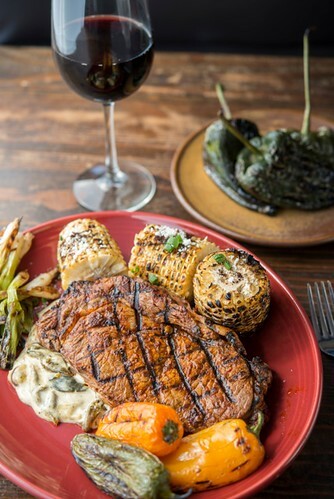 This is top choice Angus skirt steak topped with garlic butter sauce, sautéed red onions, roasted poblano chile rajas and a whole grilled jalapeno. Chef Deb serves this with a side of guacamole and a lime wedge. These lamb chops are rubbed with spices and garlic before being grilled. They are served with garlicky chimichurri sauce (garlic, parsley, cilantro, oil, salt) and served along side roasted sweet potatoes. Three rolled enchiladas in corn tortillas stuffed with snow crab meat, garlic-sauteed shrimp, fresh Mexican scallops and cheese. 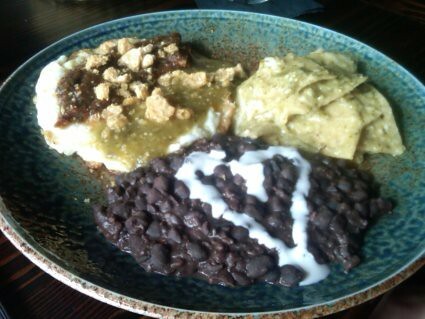 Chef Deb serves these Bandera-style with stripes of salsa verde, red enchilada sauce, and crema cotixa. It’s red, white and green – the colors of the Mexican flag. 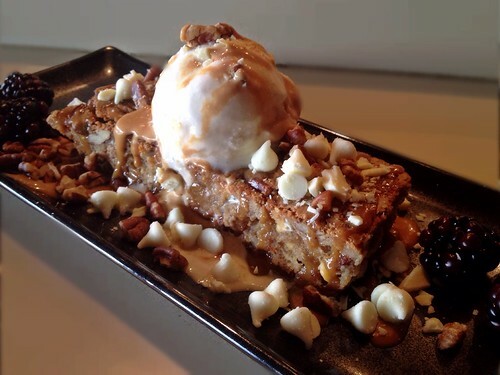 A ‘blonde’ brownie made with Callebaut white chocolate and nuez (pecans), served warm with ice cream and cajeta envinada, white chocolate chips and candied pecans. 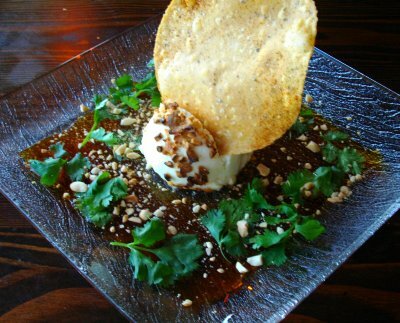 This has a sweet butterscotch flavor and is the perfect ending to any meal at SOL. 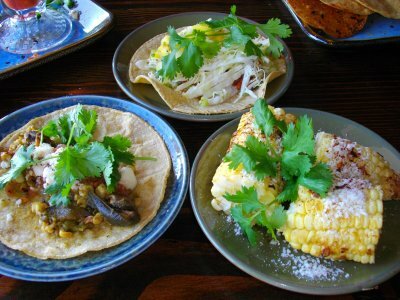 Newport Beach, CA – SOL Cocina debuts a new lunch program designed to reward guests with their favorite Mexican cuisine – compliments of SOL! After six visits to SOL Cocina for lunch during the week, guests will be treated to Executive Chef Deborah Schneider's signature fare on their seventh weekday lunch visit. "It's our way of saying 'thank you' to the many guests who join us for lunch during the week," commented Matt Baumayr, general manager of SOL Mexican Cocina. "It's a straightforward, simple program – join us for lunch six times and the seventh one's on us." Each guest will be presented with a rewards card that will be stamped by their server at the conclusion of their meal (valid during lunch Monday through Friday between 11:30 a.m. and 4 p.m. with a minimum food purchase of $12.50). The diner will be able to bring the card back on their seventh visit for a complimentary lunch (Monday through Friday; valued up to $12.50). 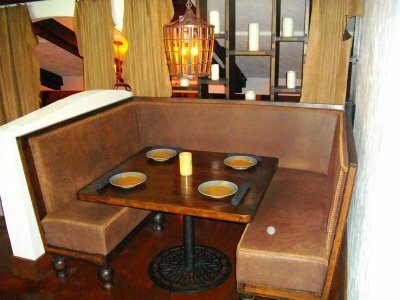 To view menus or make reservations, guests may call 949-675-9800 or visit www.solcocina.com. 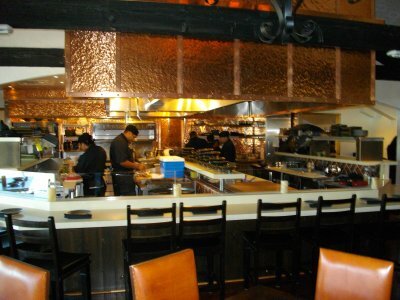 Newport Beach, January 2011 – SOL Cocina begins the new year with new menu offerings. Closing out 2010, Executive Chef Deborah Schneider introduced new items to the restaurant’s popular Weekend Brunch (10 a.m. – 3 p.m. every Saturday & Sunday), and to kick off 2011, Chef Schneider has added exciting new dishes to her already celebrated menu of Coastal Mexican cuisine. 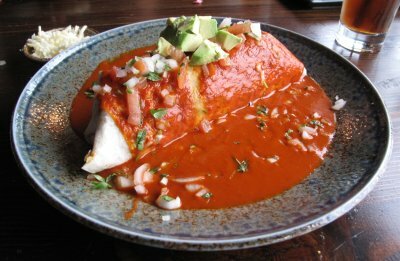 New Grilled Burritos – sonoran-style flour tortilla grilled, filled with cheese, black beans, carne asada, guacamole, pico de gallo, onions & cilantro – served with carne asada, which may be substituted with grilled chicken or made vegetarian at no charge. sub carnitas, grilled fish or shrimp for $3). 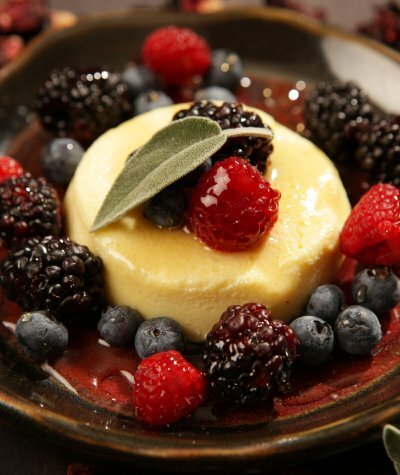 Crème Brulee with Guava & Berries – rich, creamy crème brulee infused with pink guava, baked with berries and topped with a thin sugar crust. NEWPORT BEACH, JULY 2010 – Since opening last summer, SOL has developed a sophisticated catering program that ranges from corporate dinners and luncheons, to intimate cocktail receptions and large-scale galas – both in-house and off-site. Now, with Executive Chef Deborah Schneider at the helm, SOL is delivering unforgettable experiences to guests docked at their Balboa Marina location with the launch of "Dock n’ Dine," a full-service dockside dining experience. "SOL's location at the Balboa Marina is prime docking for those looking for the perfect ambiance to enjoy a sunny afternoon or a scenic nightscape," said Rich Howland, Operating Partner of SOL Cocina. "With the many boats visiting our docks throughout the week, it only seemed natural to want to tend to their needs by offering catered dockside service, complete with beer, wine and SOL's fresh margarita kit, created to tranform a novice bartender into a SOL-worthy mixologist!" 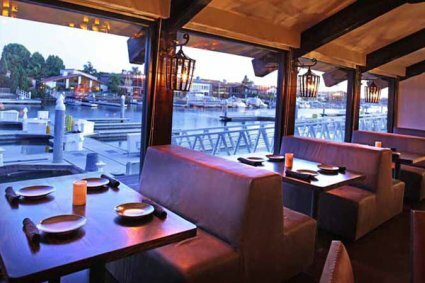 An extension of SOL Catering, "Dock n' Dine" stays true to the restaurant's dining room experience, by offering five different tasting menu packages that take an eclectic twist on traditional Baja, ranging from the AZUL, priced at $75 for a group of six, to the TACOS SOL, priced at $150 for a group of up to 10. 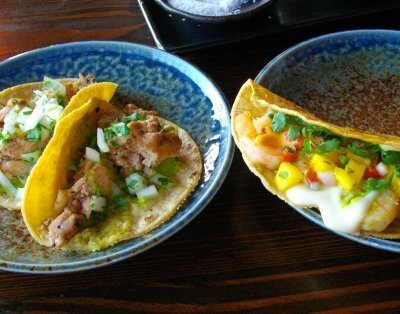 The latter is the most extravagant, featuring a variety of SOL favorites, including Grilled Carne Asada, Kurobuta Pork Carnitas, Lemon-Garlic Chicken, Grilled Fish Zarandeado and Carne Asada Tacos Vampiros. The menu includes SOL’s signature salsas, guacamole and Borracho black beans with cotixa cheese, served with crispy tostadas and warm corn tortillas. In addition to the set menus, guests may add on a number of a la carte options. "The Dock n' Dine menus were developed for those looking for a little excitement with sumptuous fare without any hassle," added Deborah Schneider, Executive Chef & Partner at SOL Cocina. 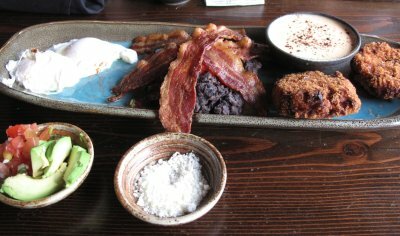 "I created each of these unique menus, offering a variety of options, to provide more than just a snack or light meal, but an experience that guests will not soon forget." SOL Catering offers the guest a variety of options with three lunch menus priced at $15 to $25 per person, and four dinner menus priced from $28 to $58 per person. Those interested in a more relaxed event that allows guests to indulge as they mingle may be interested in tray-passed appetizers, offered for two hours at $20 per person (3 trays) or $30 per person (4 trays), which averages approx. 16 pieces per person. One hour of tray-passed appetizers can be added to any dinner menu for $14 per person. For the more adventurous, Chef Schneider has created four tasting menus that take an eclectic twist on traditional Baja, ranging from the EL SOL, priced at $28 per person, to the LA ESTRELLA, priced at $85 per person. The latter is the most extravagant, featuring eight tasting courses that include dishes such as a Salmon Ceviche & Beef Apache Duo, Pan-Roasted Duck Breast and Grilled Kobe Steak. For more information on SOL Catering, Dock n' Dine & full menus, call 949.675.9800. For the most spirited, SOL is proud to host customized private tequila tastings with more than 60 tequilas to consider. All private events have the option of a private bar with dedicated bartender, and all events allow for custom beverage options that can be as simple or as varied as is required. 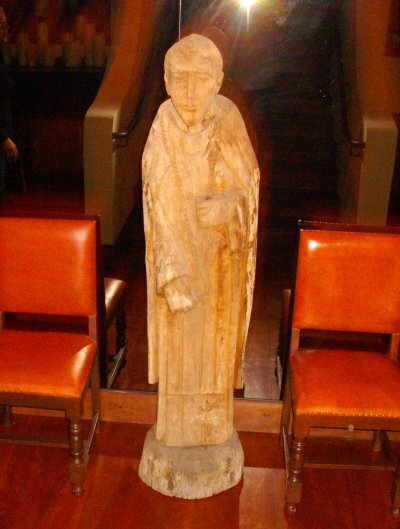 In-house capacity for seated private dining is 35 guests, while tray-passed mixers can accommodate up to 50 guests. For more information on SOL Catering, guests should contact SOL at 949-675-9800 or events@solcocina.com. 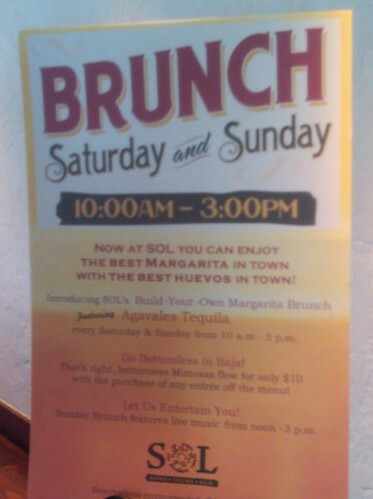 Newport Beach, January 2010 – SOL Cocina welcomes 2010 with two new offerings: Weekend Brunch (10 a.m. – 3 p.m. every Saturday & Sunday) and Happy Hour (3 p.m. – 6 p.m. daily). 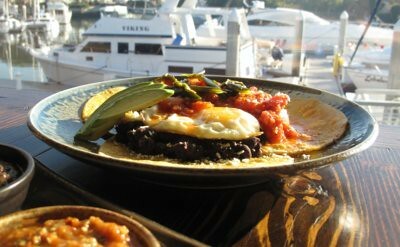 Executive Chef Deborah Schneider has created a special menu of Coastal Mexican cuisine to accompany each. 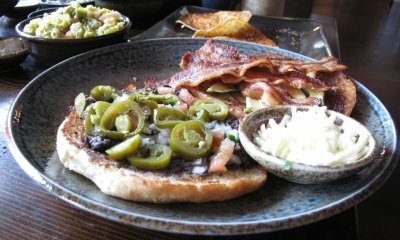 Full menus can be found online at http://www.solcocina.com/menu.html. Thanks to Christian and his very spontaneous invitation, I was able to enjoy the newly opened Sol Cocina (not Sol Cucina). The food, service and atmosphere were impressive. In a nutshell, Sol Cocina is an upscale yet all-inviting dining experience that has been created and presented through the eyes of a few gringo surfers who have fallen in love with Baja. The desire to capture the laid back vacation-like experience is heightened by the culinary talents of Executive Chef Deborah Schneider, a 2009 James Beard Foundation Book Award Nominee and who, by the way, is from north of the border in Toronto, Canada. 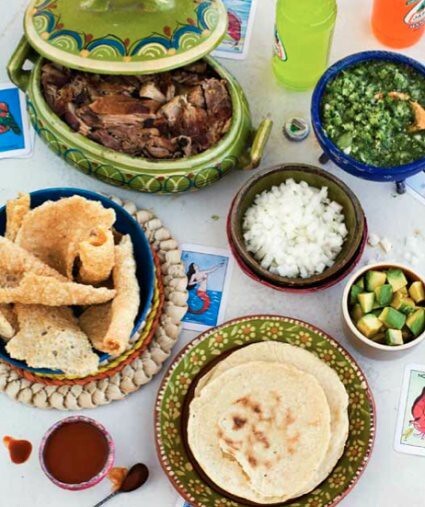 Having fallen prey to the paradise that is Baja—thanks to her husband who surfs—Chef Deb eventually adopted the local cuisine into her repertory. Amid elegant decor that offers a charming view of the Newport Harbor, one can enjoy contemporary and gourmet interpretations of Baja street cuisine. Homemade tostadas, each bearing what seems like their own personality, in Christian's words, are crispy, hearty and rich with toasty spice. Break those apart and dip them into your version of a rainbow guacamole or the black bean dip with pumpkin seeds and your taste buds will be most grateful. Both of these dips are creamy to the tee, with the black bean dip offering a surprising kick that is almost the basis for an addiction. The seafood is stupendous. We enjoyed the seafood cocktail ($12), which was refreshing and satisfying. The squid and shrimp are succulent and a nice balance to Chef's signature spicy cocktail sauce. 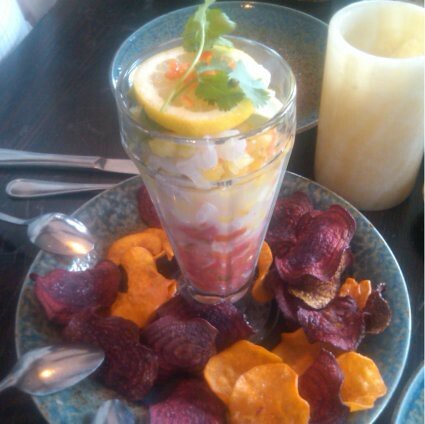 We then moved on to the melt-in-your mouth ceviche that will no doubt leave raw fish lovers wanting more. Interesting tidbit: a couple of the restaurant's owners have a background in sushi restaurants, and it shows in their commitment to quality when it comes to their seafood. Just when we thought we couldn't eat another bite, Christian and I moved on to our tacos. 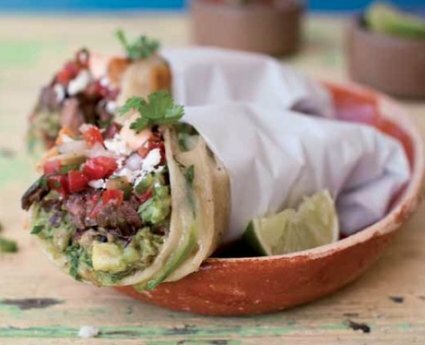 Street taco dishes are offered for as low as $6 for two. This concept celebrates the Baja travelers' desire for low-key and scrumptious. Reminiscent of a sushi bar or taco stand, Sol Cocina features a seating area alongside the kitchen, enabling you to sit side-by-side, hovered over your meals and, all the while, getting a glimpse of what Chef Deb and team are doing. 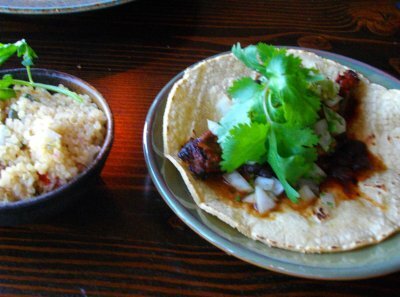 I had the lamb taco borracha ($4.75)--lamb sirloin grilled with garlic, blending chiles, chocolate and tequila. Interesting? No doubt. Delectable? Without a doubt. The taco represents the daring-for-Newport-Beach that is the Sol Cocina cuisine: sweet, savory and spicy as an all-in-one for any course. 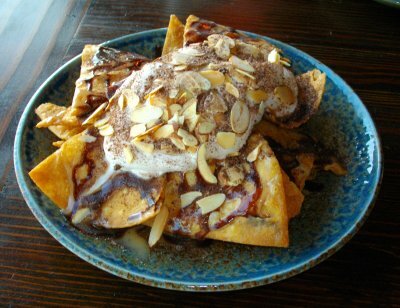 The chipotle-piloncillo goat cheese ($11), which we enjoyed as an appetizer, boasted a drizzle of spicy, sweet syrup, and the only nachos you will find on the menu are desert nachos--flour tortillas, deep fried, sprinkled with cinnamon, drizzled with chocolate and topped with whip cream. As for the bar. Yes. Double yes. Wide open, plasma monitors, attractive. And the margaritas are fantastic. The house and traditional margarita was perfectly mixed but I was entertained by the pineapple-serrano margarita, which is exactly what it sounds like. Yes, you will sip chunks of both as you enjoy this cocktail. There is also a cucumber-jalapeño margarita, which I will definitely order another time. 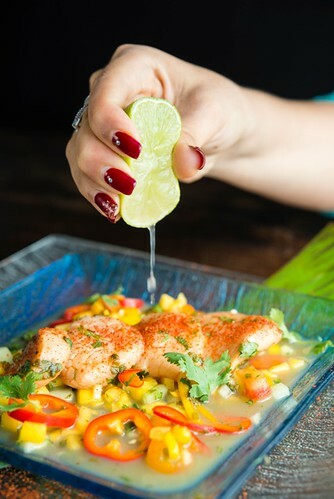 As for upscale, hotspot and gourmet Mexican along PCH and throughout the county, one of the most striking elements of the Sol Cocina experience is the service. Our server, Lorn, knew the menu like the back of his hand and our table was well-cared for. Thumbs up for Sol Cocina. It may have been day two when we visited, but I predict it won't be long before the lines will be out the door. Prices range from about $5 - $22, with steak and carnitas entrees landing on the high end of the menu. Several kinds of guacamole are available. If you order the Rainbow Guacamole, you can customize it by picking five ingredients to add into it (or more ingredients for a little more money). 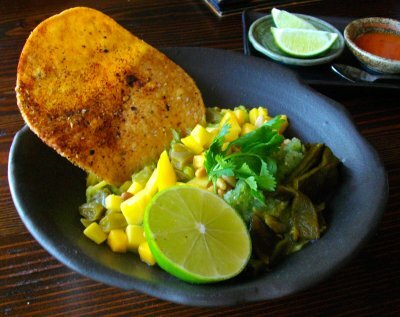 We got it with roasted poblano, mango, tomatillo salsa, pine nuts, and nopales. 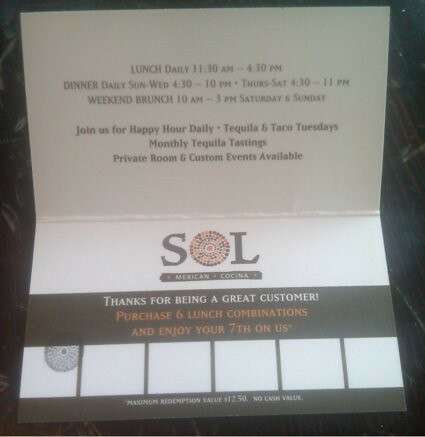 July 16th @ 1pm: Sol Cocina is now open but is only open for dinner until about July 22nd, when it will also open for lunch. I stopped by for lunch just now and they weren't serving lunch but I was able to take a few pictures and will be going back later tonight for dinner. Want to see a super "cool" slideshow of all these pictures? CLICK HERE You'll get a better view of all the photos seen here plus more photos of the restaurant and its food that are not posted in this entry. You may need to download the Cooliris plugin first, but it'll be worth it. Found out recently about a restaurant that will be opening up in Newport Beach I think right near the 3Thirty3 Waterfront restaurant on PCH in about a month. It's going to be called Sol Cocina (not Sol Cucina). Their PR people sent me some pictures of the food they will have and I'll be adding more information shortly about their menu, their chef, when they're going to open, etc. 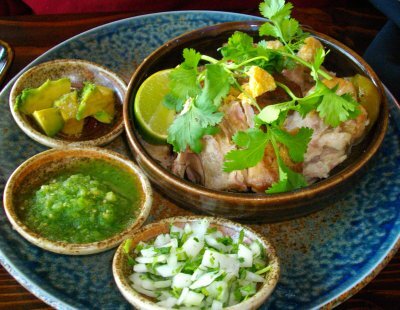 Vibrant Baja cuisine in a contemporary setting infused with old world charm. Newport Beach, Calif. (June 4, 2009)—Introducing SOL Cocina, a new restaurant and bar opening in mid July that will bring the fresh, vibrant flavors of the Baja California Coast to Newport Beach. Led by Executive Chef Deborah Schneider, a 2009 James Beard Foundation Book Award Nominee, SOL features innovative Baja-inspired cuisine in a modern setting that infuses old world Mexican charm with urban comforts. 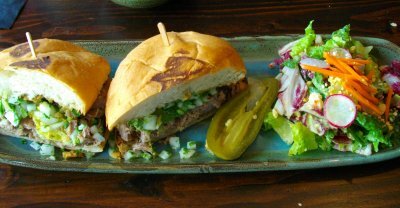 SOL's menu offers signature regional recipes along with Schneider's own Baja-inspired creations, resulting in the perfect combination of authenticity and ingenuity. Using fresh, seasonal ingredients, including Pacific fish, American Wagyu beef, Heirloom pork and locally raised vegetables, Schneider has created an exciting menu filled with signature antojitos (small plates) and Baja-style street tacos—prepared in an exhibition kitchen surrounded by counter seating to give guests a genuine feel of eating at a taco stand on the Baja Coast— along with innovative entrees and desserts that are uniquely Baja. "Our menu reflects the way we really like to eat in Southern California and Baja— simple, fresh food that's full of flavor and a focus on our beautiful Pacific seafood," explains Schneider. "Baja cooking is much lighter than traditional Mexican food—we love cooking on the wood grill, we make our own salsas and sauces every day with local fruits and vegetables, and we make your food fresh in front of you. That's Baja." Mouthwatering creations are sure to please even the most discerning palates—from Rainbow Guacamole made with buttery avocado and a selection of fresh fruit, nuts, cheeses and chilies; and Pibil-Roasted Fresh Fish on a Banana Leaf is made San Felipe-style and topped with a tequila lime cilantro beurre blanc and pineapple-jicama salsa; to Kurobuta Carnitas Tacos made with shredded pork, chiccharones, avocado, onion, cilantro and tomatillo sauce; and Lemon-Garlic Mezcal Chicken Tacos topped with avocado sauce, onion and cilantro. SOL's décor, created by acclaimed restaurant designer Thomas Schoos, features a modern interpretation of the traditional Baja coast that's as innovative as it is welcoming. Inspired by the laid back Baja California beach vibe, the 170-seat restaurant features rich textures, natural elements, seductive lighting and sophisticated touches. 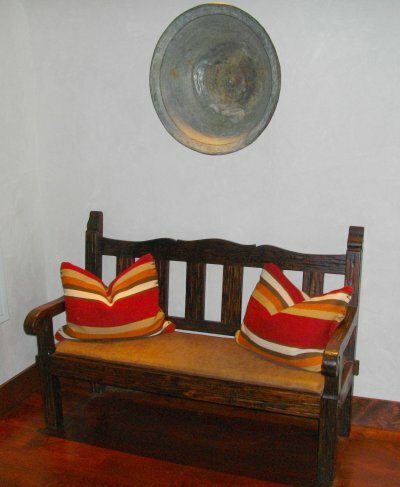 Plush leather chairs, wrought iron accents, antique bronze lanterns and distressed wooden doors bring a rustic feeling, while modern design elements—like steel and lucite cocktail tables filled with colorful Mexican trinkets—create a contemporary sensibility. SOL Cocina's expansive bar is sure to be a local hot spot, featuring a full-service bar with over 50 varieties of tequilas housed in a three-foot double-tiered tower at each end of the bar, each framing a vintage mirror with a hand-forged nail frame, while a central fireplace gives off a warm, soft glow to create the feeling of sitting around a friend's backyard fire pit. 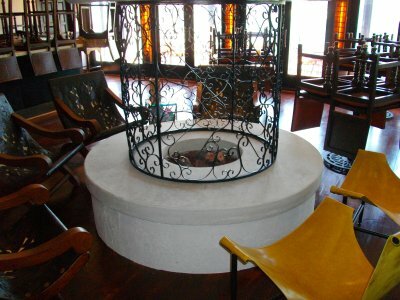 The bar's 'outdoors brought indoors' elements seamlessly blend traditional indoor and outdoor materials throughout to create a warm, inviting, relaxed ambience that will easily appeal to the laid back luxe Newport Beach community. 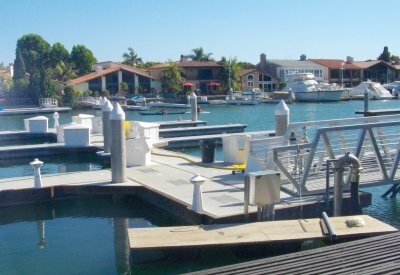 Located on the Balboa marina, boaters can dock just steps from SOL's outdoor patio, making it easy to enjoy the restaurant's signature Baja cuisine and cocktails after a day out at sea. 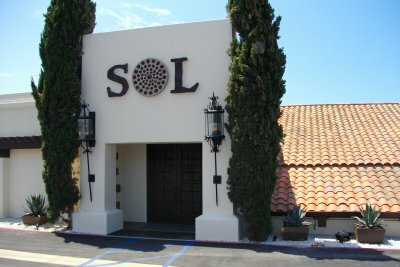 Located at 251 East Coast Highway in Newport Beach, SOL will be open for lunch and dinner daily from 11am to 11pm, with the bar open until 2am. For more information, please visit www.solcocina.com. Yeah, it looks like it'll be good stuff. 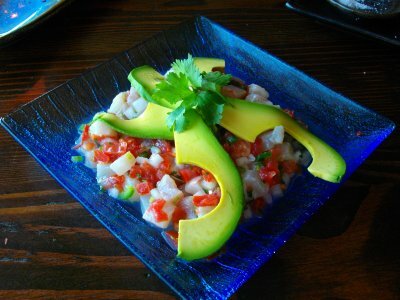 Great information and photos -- I can't wait to give it a try, especially the ceviche. Gracias. Have only been here for drinks and apps, but great place!